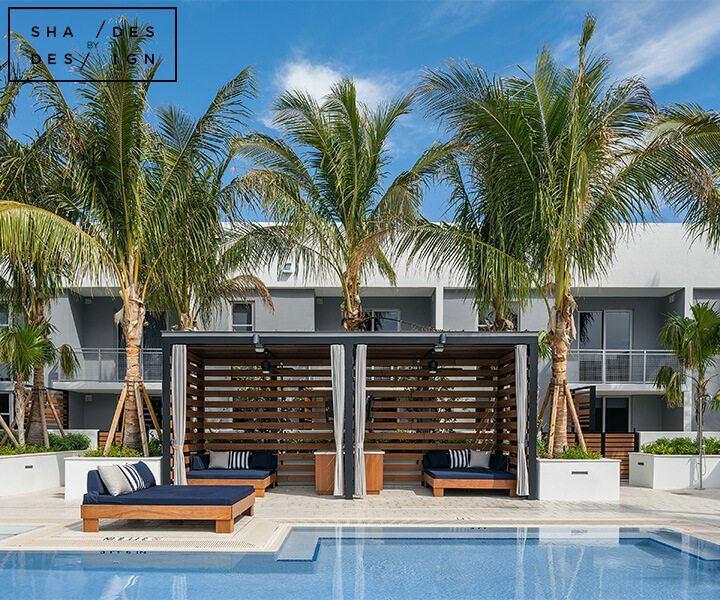 Midtown 29, a luxury apartment high-rise in Midtown Miami with over 300 luxury units. 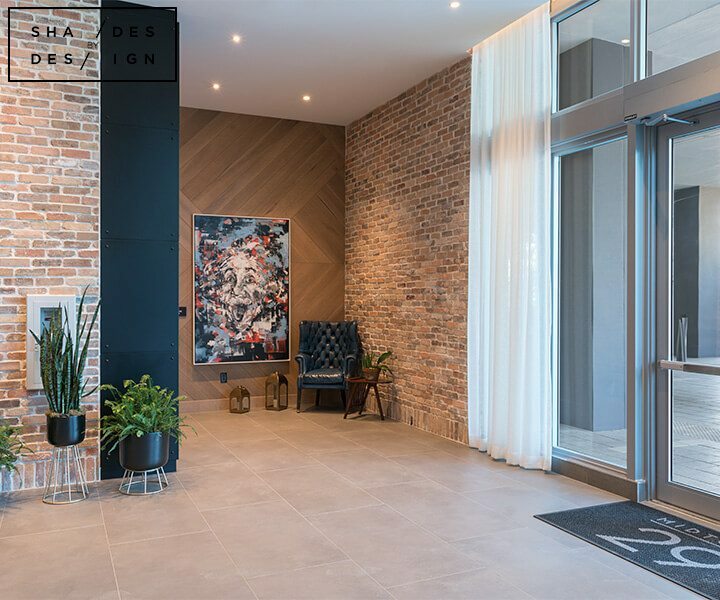 For this location, we wanted to create a bright welcoming atmosphere for some areas, while also setting the nice relaxing and luxurious environment in others. 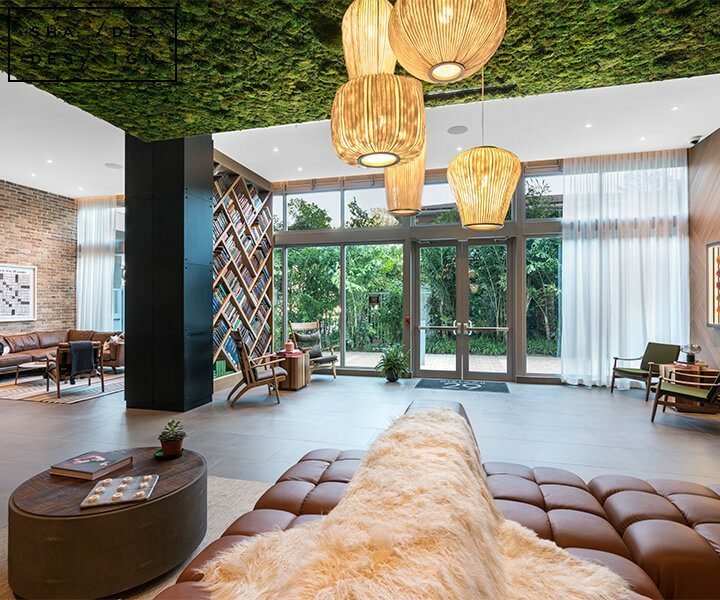 To begin, we installed sheer ripple fold curtains in the lobby, lounge, and library. 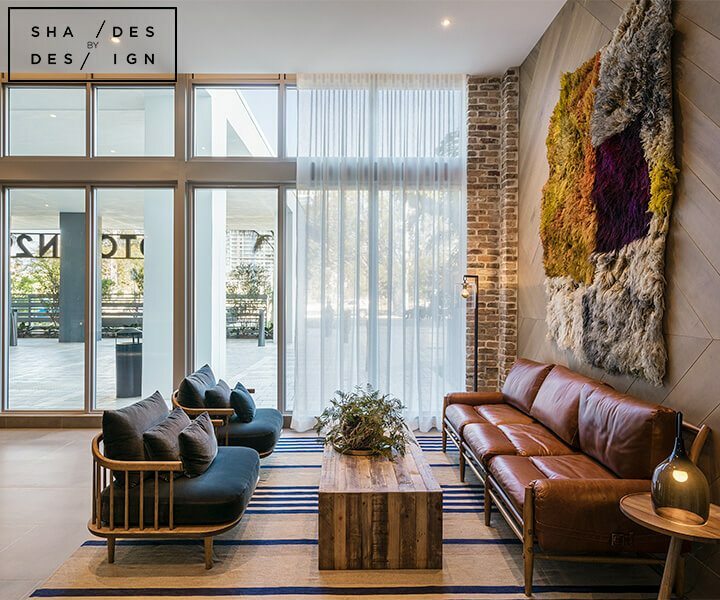 Since these are common areas, it was important to design a window treatment solution that allowed an abundance of natural light into the space while still inhibiting glare and excess heat load. 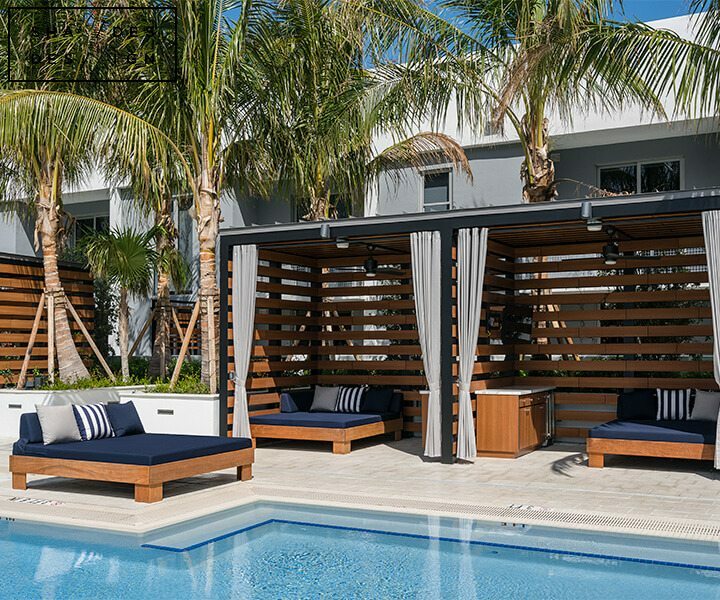 When relaxing by the pool, it is important to be comfortable and relaxed. 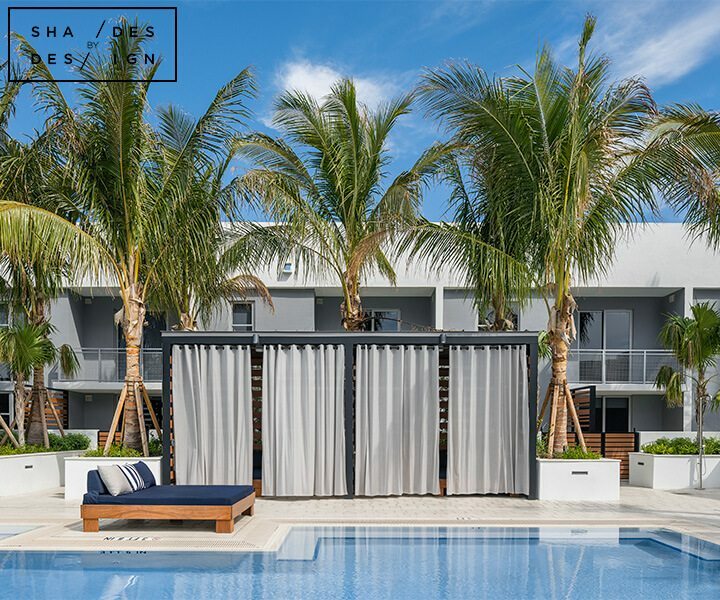 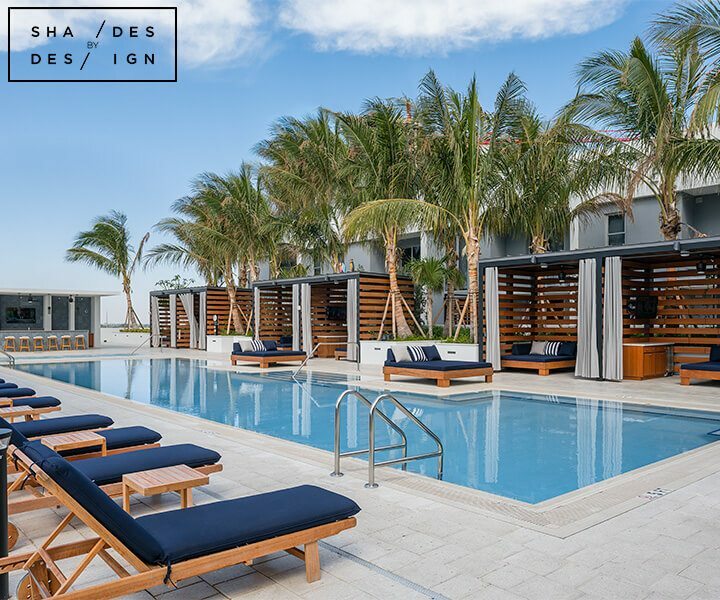 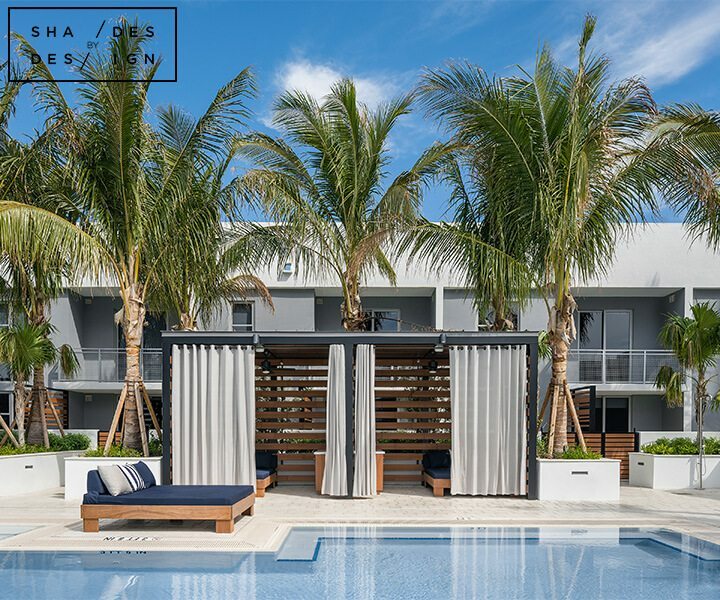 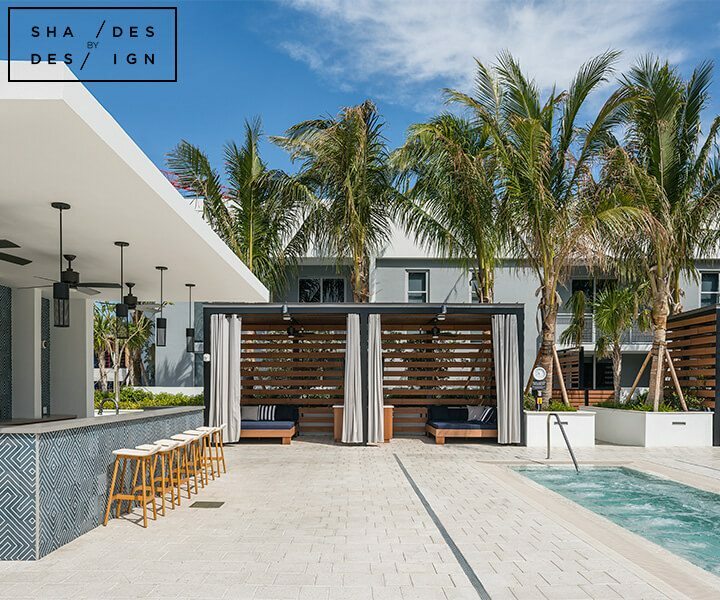 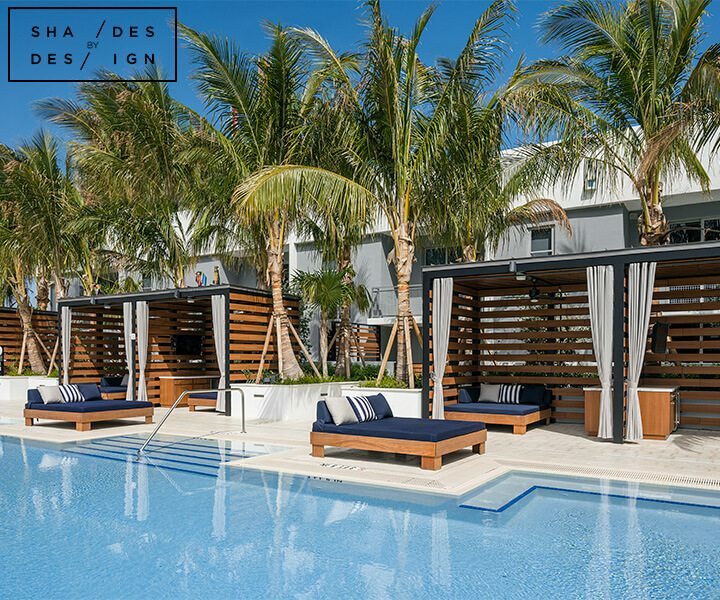 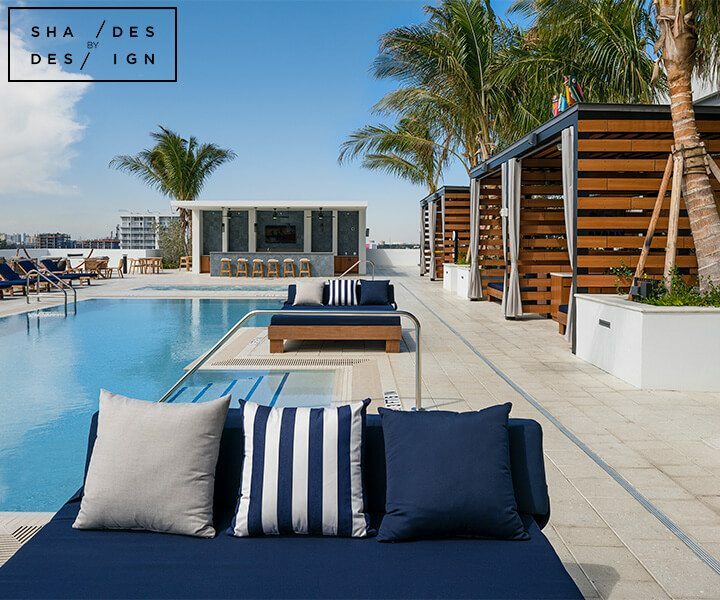 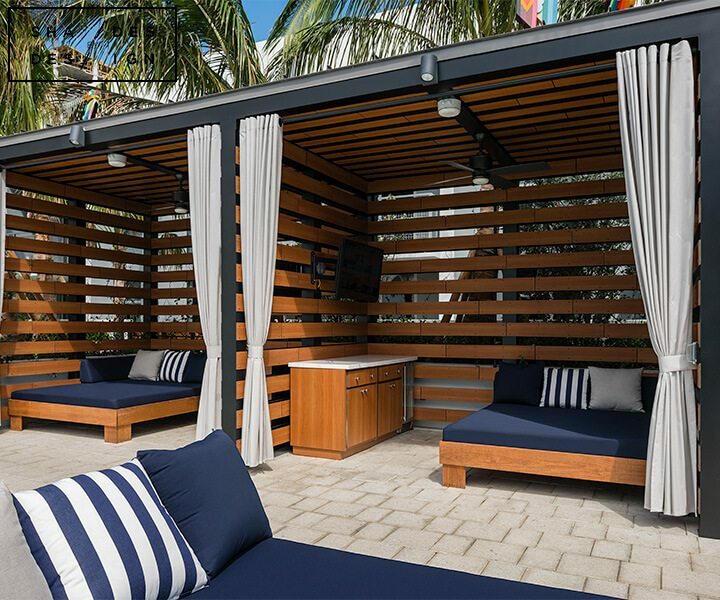 To enhance the experience of the residents, we installed beautiful Sunbrella fabric outdoor curtains on custom exterior hardware and rods on the cabanas. 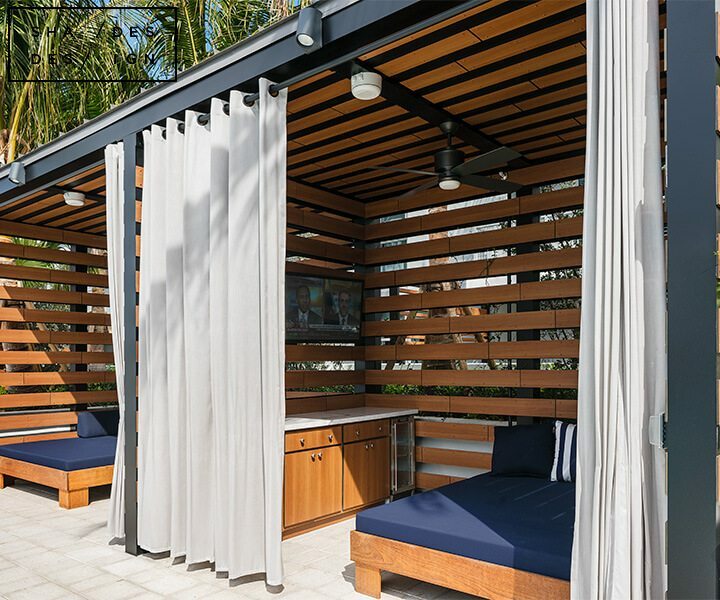 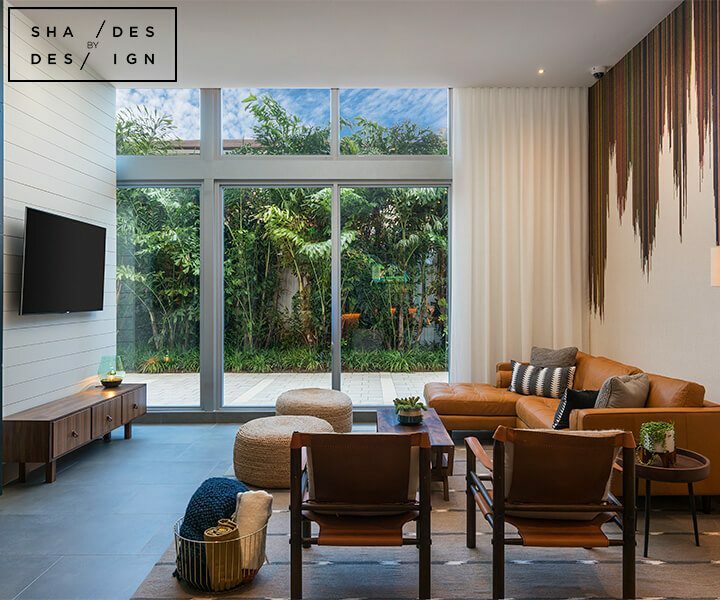 In addition to looking great, these exterior window treatments allow residents to enjoy privacy and shade in their cabanas. 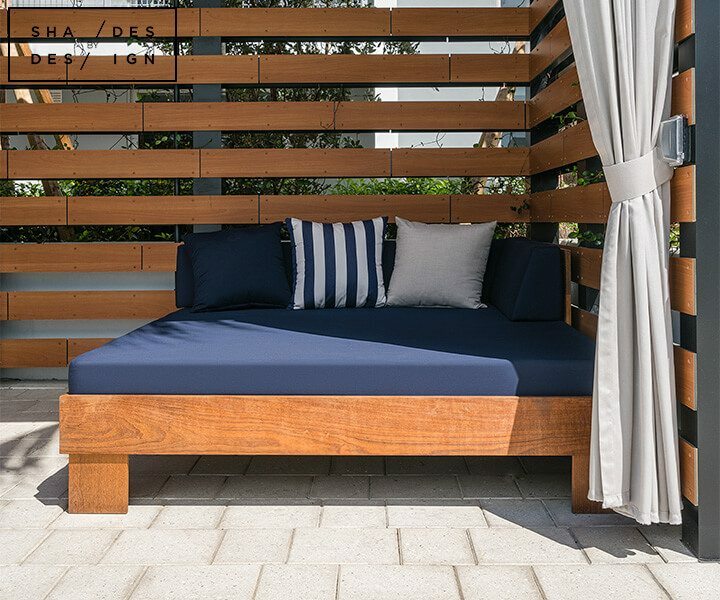 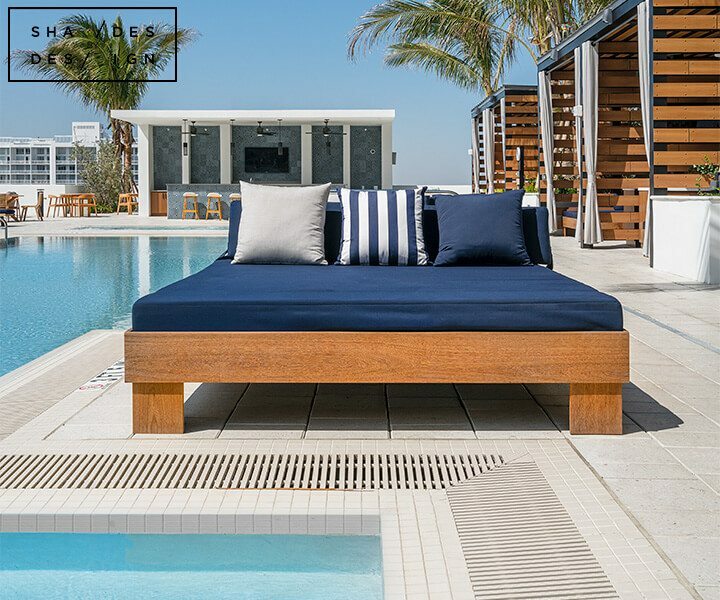 As a final touch, we upholstered each sunbed and pillow with outdoor Sunbrella Fabric over quick dry inserts.